It’s my favorite time of year! This is the time I sit and think of unique gifts to give my family and friends. I think of health conscious gifts that can promote both health and fun. Here is a holiday gift guide for gifts for you, for your friends, and gifts for your partner in this brimming 2015. I hope you find some inspiration, my loves. Happy holidays! 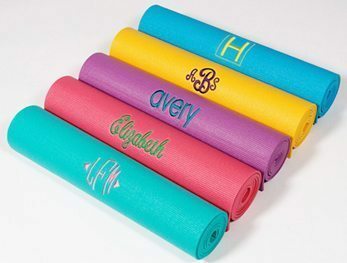 These are a few of my favorite Things ………..
You can personalize a colorful custom-made embroidered yoga mat with your family member or friends initial, or name or a inspiring quote. Pair this yogat with an exercise towel or a yoga DVD. Get your friends and family a membership in a community supported Agriculture ( CSA). 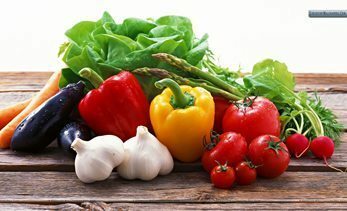 This is a great way for them to get colorful fruits and veggies and help rediscover healthy eating. These deliveries will contain local and seasonal produce. Check out Local Harvest to find a CSA near you. 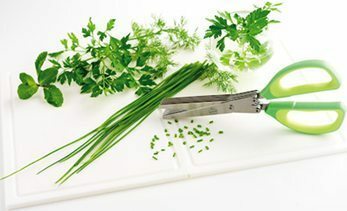 Make chopping herbs, mushrooms, leafy greens super easy with these 5 blade scissors. This saves you a lot of time in your prep work to make fresh salads and so easy to use. Would you like your water with lemon? How about strawberry, orange, blueberry, or watermelon? 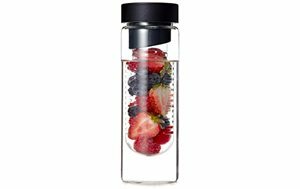 Anyone can be a mixologist extraordinaire with this flavor-infusing water bottle. Treat yourself to a refreshing, midday pick-me-up of lemon and mint, or a splash of summertime with strawberries and blueberries. This sleek, glass bottle also cuts the environment a break, reducing our dependence on plastic water bottles. 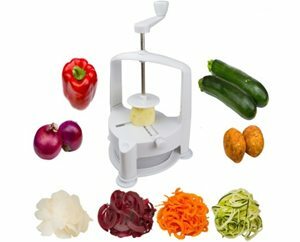 A spiral slicer can easily turn squash or sweet potato into “veggie pasta”. It’s a fun away to eat your veggies. Who doesn’t need some good, natural skin care in the winter months? This is a great natural no chemicals product. Great for Stocking stuffers ! This stunning tea kit is perfect for the tea lover in your life. 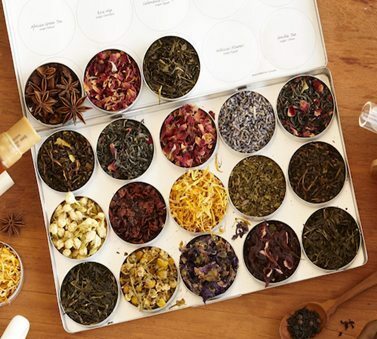 You can mix and match to make custom blends of herbal and green teas. Enjoying the flavor and aroma is just one benefit of tea. Teas’ many active compounds are under study for their cancer-fighting potential. This lovely sample set includes our Aloe Herb Cleanser, Ayurvedic Scrub, Purifying Mud Mask, Dead Sea Facial Scrub, Neroli Toning Mist, Coconut Body Oil, Repair Serum and Herbal Facial Oil for Normal and Combination Skin. 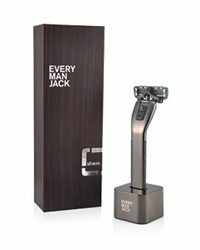 This is an organic range of skincare to shaving cream for men. It’s also very easily available at whole foods. 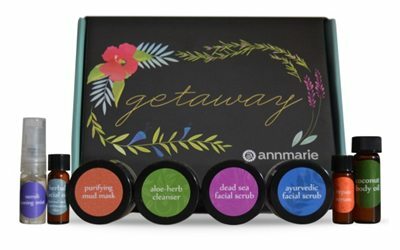 It’s a great way to transform your partners skin care to clean, chemical free product. We now know the health hazards of nail polish. 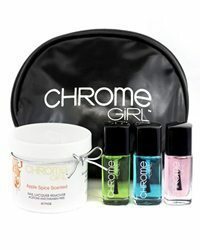 This new brand is free of toxic chemicals plus they have a wide assortment of colors and great gift sets. A very special treat for a woman or girl. 11. 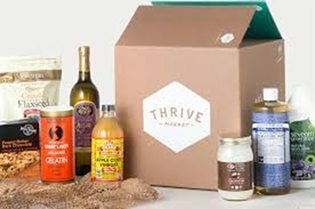 Membership to Thrive Market! 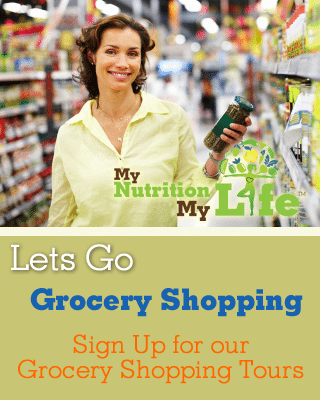 The Costco for healthy pantry items –It is the opportunity to stock up and auto-ship favorite snacks and staples at huge cost savings!